CONCORD, N.C. (Sept. 2, 2016) – Dale Earnhardt Jr., driver of the No. 88 Chevrolet SS for Hendrick Motorsports, has not been medically cleared to compete for the remainder of the 2016 NASCAR Sprint Cup Series season as he continues to recover from a concussion. Earnhardt has missed the last six Sprint Cup races while undergoing treatment. He has been regularly evaluated at the University of Pittsburgh Medical Center Sports Medicine Concussion Program under the direction of Dr. Micky Collins and with Charlotte neurosurgeon Dr. Jerry Petty. “I wish I could return to the No. 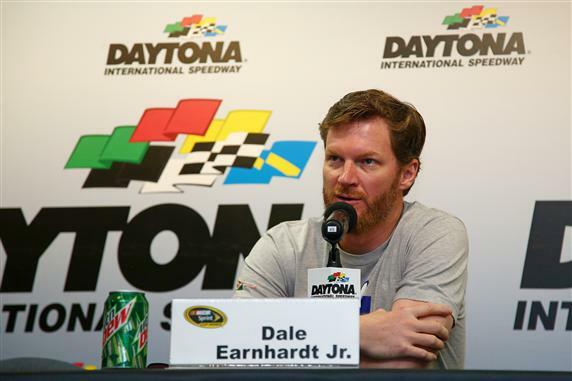 88 team this season,” Earnhardt said. “To say I’m disappointed doesn’t begin to describe how I feel, but I know this is the right thing for my long-term health and career. I’m 100 percent focused on my recovery, and I will continue to follow everything the doctors tell me. They’re seeing good progress in my test results, and I’m feeling that progress physically. I plan to be healthy and ready to compete at Daytona in February. I’m working toward that. Jeff Gordon and Alex Bowman will drive for the No. 88 team in the season’s 12 remaining races. In Earnhardt’s absence, four-time Cup Series champion Gordon, 45, filled in at Indianapolis, Pocono, Watkins Glen and Bristol. Bowman, 23, drove at New Hampshire and Michigan. “I know how hard Dale has worked and how frustrating this is for him,” said Rick Hendrick, owner of Hendrick Motorsports. “He wants to be back, and we want him back, but we want it to be for the long haul. We’ve had incredible support from everyone involved with the team, including all of our sponsors. They’ve put Dale’s health first every step of the way.